If you’re a gaming fan, you’ll surely have experienced that feeling of euphoria when a title that you’ve been waiting for a long time finally hits the shelves. With two major new consoles having been released at around the same time last year, 2014 is shaping up to be the busiest yet as far as new releases are concerned, as developers look to woo those in ownership of the advanced hardware. If you’re a PS4 fan and struggle to keep up with what’s releasing when, then you’ll want to check out the list below, which details every single title arriving for the console this year. The check-list, which has been curated by the guys over at PlayStation Blog, will ensure that you can make the necessary arrangements for each gaming release. It may sound somewhat over-zealous, but as many a gamer will be able to vouch, it’s often the case that work commitments and finances have to be carefully modified around a new game, ensuring that there’s enough change left over to pick it up at launch, and that there’s also enough free-time for that all-important first-week binge. Titanfall may have been out of reach for PS4 users, but as the list shows, there’s still a great deal to look forward to for those in ownership of the brand-new Sony console. The folks of PlayStation Blog couldn’t have made it any easier to digest the info, with a separate list for games currently available, those launching in spring, summer, fall and winter, with a separate list of those to be announced. As you can see, there are some very significant releases on the list, and even though there are still only a few decent titles out now for the PS4, the best is certainly still to come. Among them is Watch Dogs, which is set to release in the coming months, as well as Assassin’s Creed Unity, which should wrap the year up rather nicely when it releases in the winter. One of the main challenges facing new consoles is the distinct lack of games when compared with preceding models, but with the transitional period now well under way, we now have a deluge of great titles to be getting excited about. As only an occasional gamer, I have to say that of the list, I’m personally looking most forward to Tomb Raider: Definitive Edition, but that’s just me. 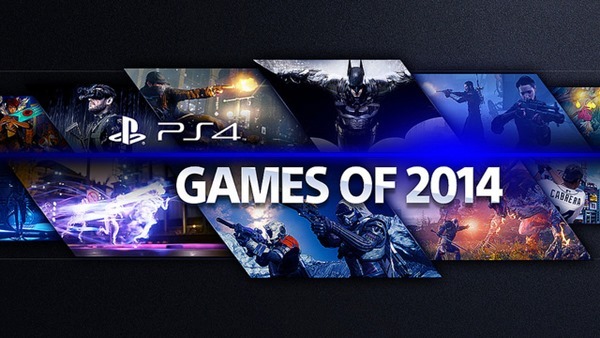 Which PS4 game are you waiting on in 2014?